Revision hip replacement surgery is complex surgery that may be required if your hip replacement has failed and is causing you pain and disability. The reasons why a hip replacement needs to be revised are multiple. Reasons for revision include polyethylene wear, loosening of implants, infection, recurrent dislocation, fractures (breaks) around the implants or other mechanical problems. Most commonly, the hips that need revision were implanted more than 15 years ago. The polyethylene that was used in the 1990s has an increased wear rate due to oxidation in the body. The wear debris accumulates in the soft tissues and the bone around the joint causing damage to bone called osteolysis. In order to achieve a successful outcome after revision hip surgery the cause for the failure of the hip replacement must be found. In some cases a minor procedure such as a bearing exchange can provide a successful outcome. Most commonly though, a major procedure is required where both the acetabular and the femoral components need to be revised. 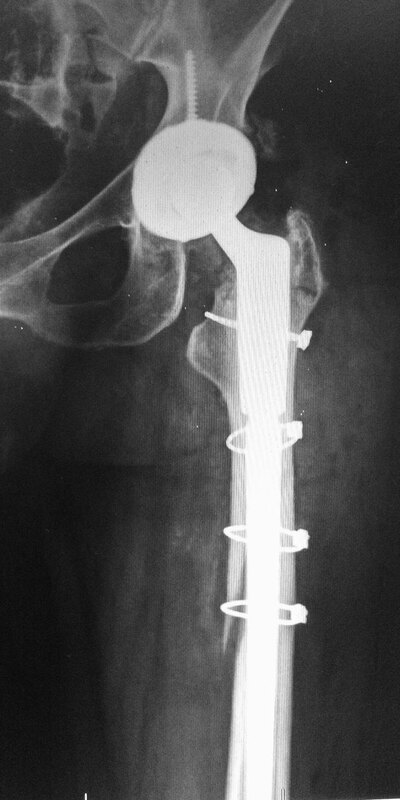 Sometimes advanced surgical techniques need to be employed to achieve acetabular and femoral reconstruction. 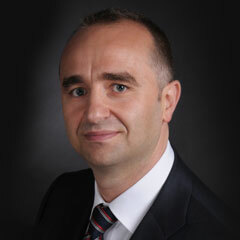 Dr. Razvan Stoita is an experienced fellowship trained revision hip replacement specialist who has the expertise in managing complex revision procedures. The techniques Dr. Stoita may use for acetabular reconstruction include pelvic fixation in cases of pelvic discontinuity, impaction bone grafting, use of acetabular augments and customized acetabular shells. For femoral reconstruction Dr. Stoita may use extended trochanteric osteotomies, proximal femoral replacements and even a total femoral replacement. The most appropriate procedure is decided on a case-by-case basis and is tailored to patients’ individual characteristics. Dr. Razvan Stoita, an experienced orthopaedic surgeon, will discuss this at length with you right here in Sydney.